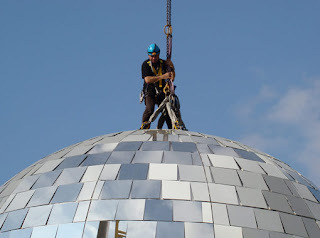 French artist Michel de Broin built a massive disco ball that measures 23.6-feet in diameter and contains a whopping 1,000 individual mirrors. 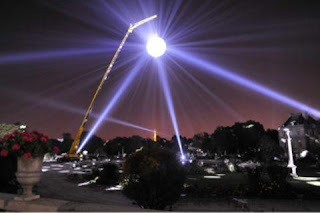 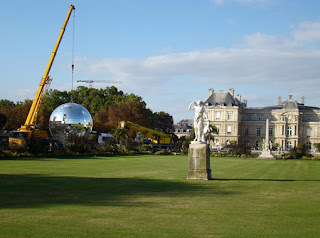 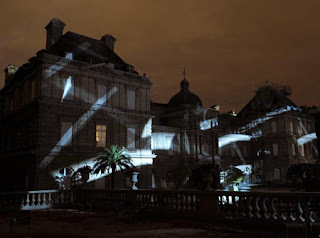 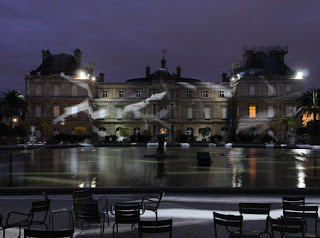 Then he attached the sphere to a crane 165-feet in the air and suspended it in the Jardin du Luxembourg during the Nuit Blanche event in Paris. 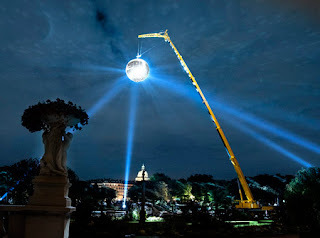 After directing spotlights at it from various locations around the city, de Broin hit a switch and let the party commence.